As I have stated in recent posts, there is much confusion in the world of frankincense essential oil at the moment. As I have demonstrated in by analysis, at least based on what suppliers at source are claiming about their botanical species, in some cases we are seeing the same species of oil generating drastically different chemistry. I have also documented what were claimed to be two different species exhibiting essential the same chemistry. For this reason I would like at least start the conversation of classifying frankincense oil, not by species but by chemotypes, because in the end its the chemistry that should determine how they are used therapeutically, not the claimed botanical origin. This chemotype of frankincense oil is primarily produced from claimed species Boswellia serrata, primarily of Indian origin. 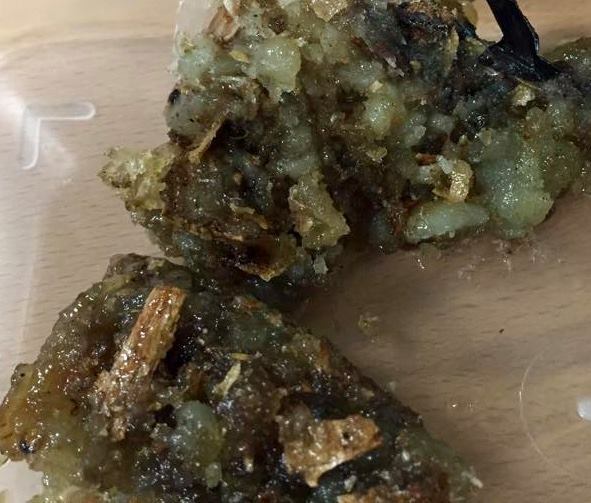 The resin of this species is a very soft, gooey material, often very rich in oil content (see pic below) with yields of around 10% or more upon distillation. 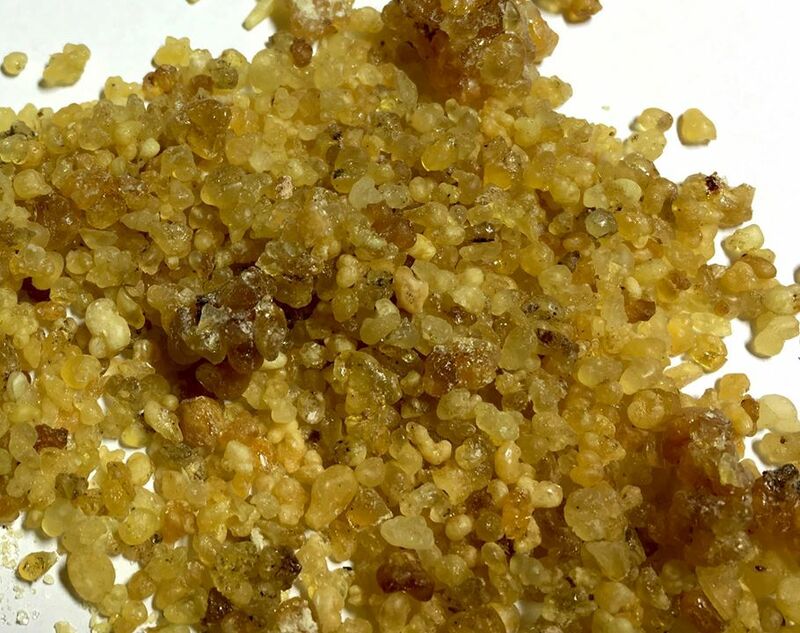 This oil is considered the least valuable of all frankincense oils and its cheap price are a result of its high oil yields and low odor quality. It should be noted that, occasionally, other resins can produce oils that are alpha-thujene dominated (namely B. carterii and B. frereana), but this is not the norm (more on this to follow). 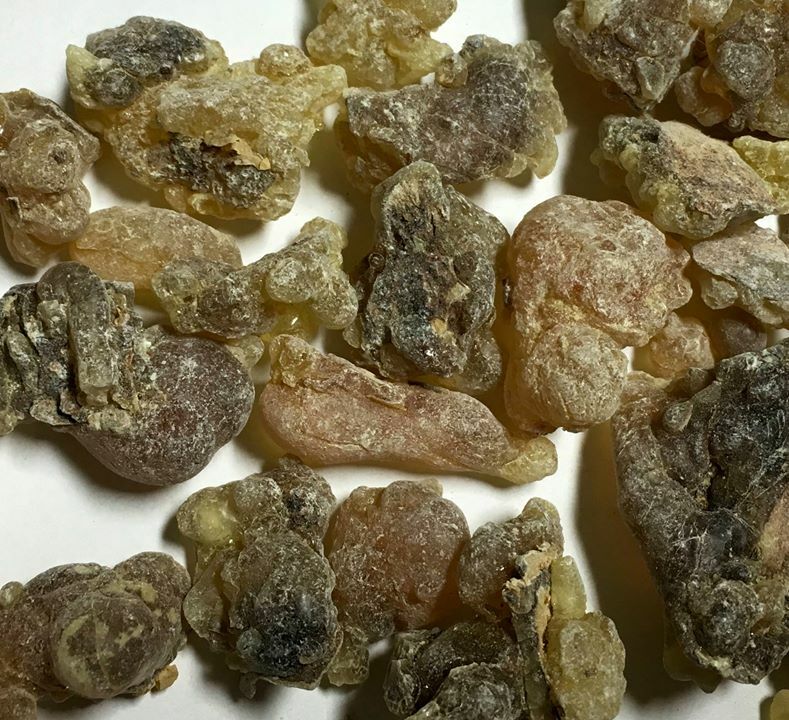 The second alpha-pinene type of frankincense oil mainly comes from what is claimed to be the resin tears of Boswellia carterii, typically coming from Somaliland. The oil from this resin is typically 30-60% alpha-pinene and very occasionally we see alpha-thujene rival the alpha-pinene content of this oil, but most often the alpha-pinene that drastically dominates. Higher alpha-thujene levels typically means lower odor quality. The yield of this oil is typically in the 5-6% range by water distillation. On rare occasion we have seen carterii resin (or what’s claimed to by carterii) yield a completely different chemistry with methoxydecane (aka decyl methyl ether) as its main chemical component (more on this in the methoxydecane section). The typical appearance of the carterii tears are usually smaller and lighter in color than the sacra and with an overall more globular appearance as shown below. TThe third main alpha-pinene type of frankincense oil is that of what is claimed to be Boswellia frereana, which typically comes from Somaliland and has on oil yield of only around 2% in our experience. From this resin I have observed alpha-pinene levels all over the place (I’ve seen it anywhere from 2 - 67%). 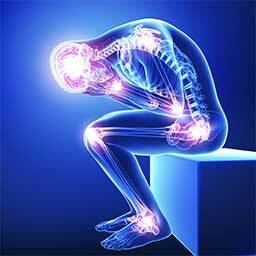 Alpha-thujene levels can also be all over the place (up to 35%), typically the higher alpha-thujene content comes at the expense of alpha-pinene or vice versa. The frereana oil can be somewhat chemically similar to the carterii oil but odor quality is not as good due to higher levels of para-cymene (typically 5-20%) and sabinene (2-16%). On very rare occasion, we have also found that resins claimed to be frereana (and look as we expect frereana resin to look) to have methoxydecane as its highest component. The frereana type of resin is very different in appearance with larger pieces and being more translucent than other resins and having a more striated look in the tears. So far, this chemotype of frankincense oil has only been observed by this lab via the distillation of Boswellia papyrifera from Ethiopia. It’s important to note that we do see octyl acetate in other species, but never the major component like it is in papyrifera. The primary chemistry of this oil can be up to 70% octyl acetate according to reports. In our own lab distillations we got around 60% octyl acetate with only about a 2% oil yield. The resin appears as the smaller beadlike structures shown below. Occasionally we have seen samples of Boswellia carterii whose chemistry is dominated by limonene rather than alpha-pinene or alpha-thujene. These oils are not typical but not exactly rare. We still see significant amounts of alpha-pinene and alpha-thujene but for some reason the resin produces abnormal amounts of limonene that are barely higher than the other two dominating components. Yield of this type of oil is typically 5-6% with a limonene content of 25-35%. Only in recent years have we discovered this chemotype of frankincense, which in turn has raised even more questions about which species of resin we were actually getting. This chemotype seems to be the rarest of the commercially produced types, as there is not a single report in literature of an essential oil containing this component that we could find. In our experiments the methoxydecane type of oil appeared to us only twice in all of our lab distillations, once from a single lot of Boswellia frereana and the other time from a single lot of Boswellia carterii. Even though these resins are very different resins in terms of appearance, it was remarkable how similar their chemical profiles were, which left us wondering if the resins were actually from the same species and perhaps the drastic differences in the appearance of the resin are due to other environmental factors. In both cases the oil yield was about the same, around 2%. We later received samples from a commercial distillery who was also producing this chemotype of oil, from resin that was claimed to be only from carterii. So far, all of our analyses on samples of this chemotype show methoxydecane ranging from 20-60%. 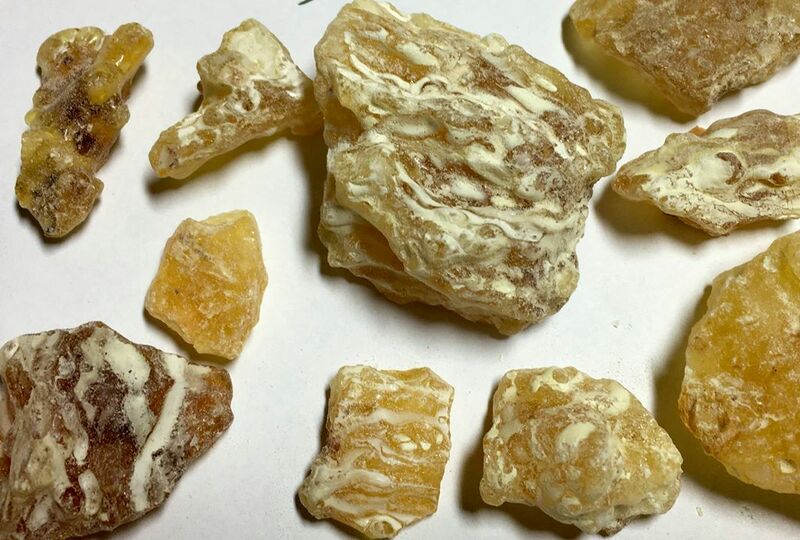 As you can see, the diversity of frankincense chemistry still continues to amaze and surprise us and this simplistic review only scratches the surface. It is hoped that anyone reading has gained a little more insight as to the 4 main chemotypes of commercially produced oil and that perhaps going forward people will feel compelled to describe their oil not just in terms of botanical species but in terms of chemotype as well, since it seems that more investigations may need to be done in order to verify species. The chemotype is quite important as these various types are VERY different in their chemistry and the chemical profile of the oil will determine its therapeutic application. 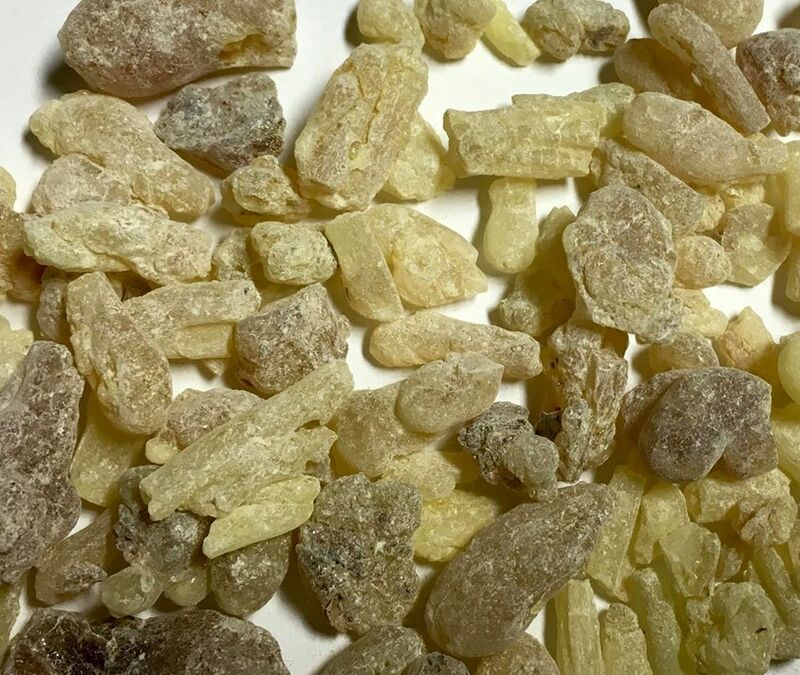 It would really be nice to see a frankincense oil listed, for example, as Boswellia carterii ct. alpha-pinene or Boswellia frereana ct. methoxydecane and this would help a buyer know exactly what they are dealing with. This review only scratches the surface, I have not even touched upon the intricacies of all the minor components as well as the differences in enantiomeric purity of the alpha-pinene, alpha-thujene, limonene etc. in the various types, which brings in another level of discussions to consider. Hopefully more work can be done in the future to verify the actual species that are being sold. With all the confusion, its no wonder some companies are getting away from species specific claims in the labeling when it comes to Frankincense and I expect this trend may continue until more research is completed and identifications are done on the genetic level.